In June of this year, a bear escaped its enclosure after a German zoo experienced a flood. The high waters put pressure on the bear’s enclosure, breaking it. The bear was shot dead. Thankfully, only the bear died as a result of the flooding, but there were originally fears that multiple big cats had escaped and citizens were told to stay indoors to avoid the animals. The big cats were later found in their enclosures. Natural disasters can also pose an indirect threat to zoo animals. For example, some animals rely on fresh shipments of food everyday to survive. Others need electricity and running water. After Hurricane Katrina, most of the fish in the New Orleans Aquarium died because the facility lost power and the staff members evacuated the area. 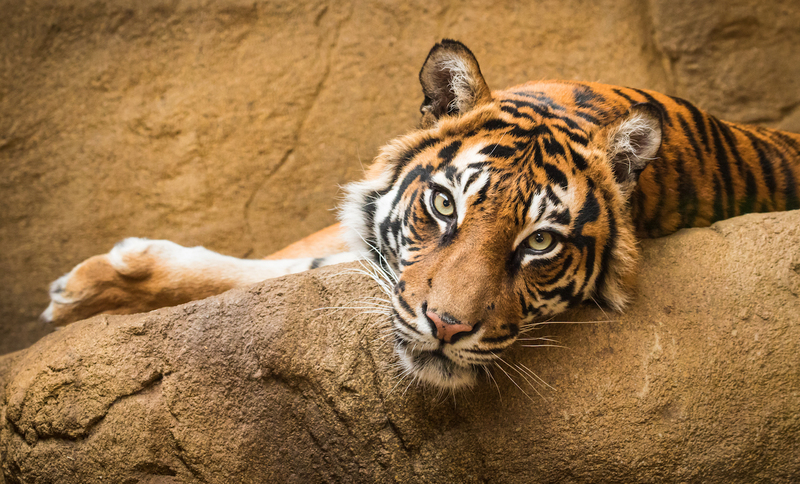 Incidents such as these are why the Association of Zoos and Aquariums requires all of the animal care facilities they represent to practice an annual disaster preparedness drill annually in order to stay accredited. The AZA even recently created the Zoo and Aquarium All Hazards Preparedness Response, and Recover Fusion Center which connects the emergency management and wildlife sector. The center is funded by the United States Department of Agriculture and advances its five mission areas: prevention, protection, mitigation, response and recovery. While the center works to create trainings and resources for zoos to handle natural disasters, zoos sometimes have to make judgment calls based on the weather conditions right ahead of an event. It may seem cruel to leave the animals at the zoos during a natural disaster instead of relocating them, but zoos have argued that leaving the animals in place can be less traumatic. When Hurricane Irma struck Florida last year, Zoo Miami decided to keep their animals at the zoo. “We don’t evacuate our animals since hurricanes can change direction at the last minute and you run the risk of evacuating to a more dangerous location. Furthermore, the stress of moving the animals can be more dangerous than riding out the storm,” Zoo Miami said on social media. The zoo moved 3,000 animals to secure bunkers before the storm. In the end, multiple fish, a flamingo and a few other birds died from the storm. It is hard to say whether less animals would have died if they were evacuated from the zoo completely. There is likely not always a safe place to secure over 3,000 wild and exotic animals right ahead of a severe storm. Additionally, many of the animals, such as the elephants who live at Zoo Miami, are very difficult to load and transfer. Disaster preparedness plans can be made more difficult for zoos who house threatened and endangered species. While the zoo should protect all animals, these at-risk species should take priority. The German zoo which had experienced a recent flood originally could not find their two tigers and authorities were on the search for these animals. Tigers are endangered and their populations are rapidly decreasing in the wild. It would be a huge tragedy for a healthy animal to die in captivity simply because proper planning was not put in place. AZA-accredited zoos and the emergency management sector are taking positive steps forward to plan for disasters before they strike. Unfortunately, there are many backyard zoos in the United States who are not accredited and may not have any plans in place to prepare for the worst. The fate of the animals living in these zoos is unknown.